While it isn’t the first time that female entrepreneur-centred conferences have been held in Singapore, Galboss Asia Symposium 2016 promises to be among the first that looks at how women are harnessing the power of technology in this digital age to develop their economic potential, bridge the gender divide, and drive their businesses forward through a 360-degree approach in building their brand. Held on Thursday 21 July 2016 at Grand Hyatt Singapore, the one day event will see four different keynotes by acclaimed women entrepreneurs such as Aimee Song (Song of Style), Shannon Kalayayanamitr (ORAMI), Tan Su Shan (DBS Bank), and Sabrina Tan (Skin Inc), followed by seven panels featuring various women who are thought leaders in their own fields. 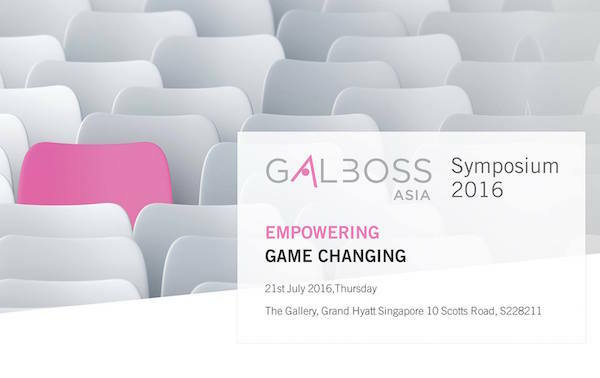 For tickets or more information, check out Galboss Asia Symposium 2016’s website.